In their earlier incarnations, TANGERINE DREAM were arguably as influential as KRAFTWERK in terms of electronic music, especially from the perspective of ambient and electronic dance music and the use of sequencers in music production; ‘Phaedra’ was one of the first rock albums to feature the use of a Moog sequencer. 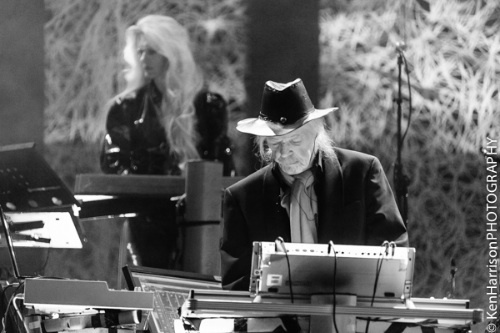 As with many bands that have managed to stick around for a while, there are line-ups which are considered to be the ‘classic’ ones; for TANGERINE DREAM, these are generally accepted as the Edgar Froese / Christopher Franke / Peter Baumann and Edgar Froese / Christopher Franke / Johannes Schmoelling eras. 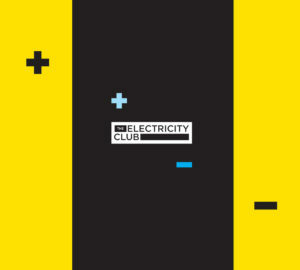 Both line-ups produced a stellar run of albums from the genre-defining ‘Phaedra’, ‘Rubycon’ and ‘Ricochet’ from the former, through to a more melodic strain of electronica including the live works ‘Pergamon’, ‘Logos’ and ‘Poland’ from the latter. The band in both of these incarnations attracted the attention of film directors and their music went onto feature in the works of William Friedkin, Michael Mann and Ridley Scott. So where does that leave TANGERINE DREAM now? Froese is the only remaining original member, the line-up now consisting of him, Thorsten Quaeschning (synths / guitar), Linda Spa (synths / flute / sax), Iris Camaa (percussion) and Hoshiko Yamane (cello / violin). 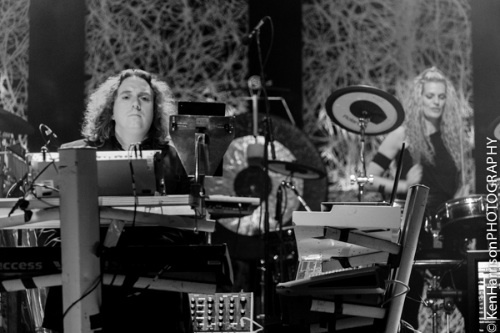 The ‘Phaedra Farewell’ tour isn’t supposed to spell the end of TANGERINE DREAM’s live work with more one-off dates have been promised for the future plus rumours of a link-up with JEAN MICHEL JARRE. All things considered, this tour shouldn’t have taken place as last year, Edgar Froese suffered a serious fall, breaking his hand and jaw, sparking rumours that it could spell the end of the band. So for many, to see TANGERINE DREAM at all was a gift, to the point where every time Froese strapped on his guitar and perched his hat on the end of its neck, he earned a round of applause! Choosing a setlist from a back catalogue that runs to over a 100 albums is never going to be an easy selection process, especially from an act that started in an extremely experimental vein and then progressed in a more mainstream direction. The evening was split into two main sets with an interval after an hour. 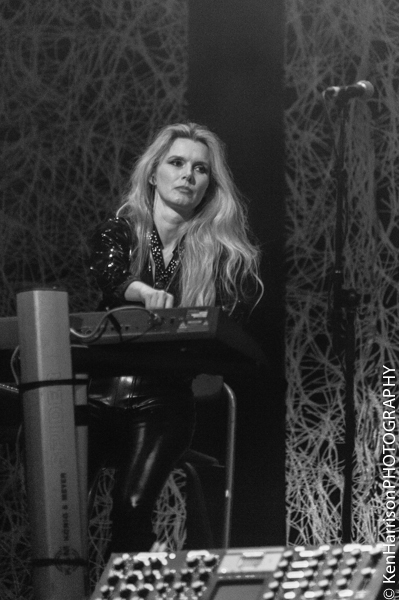 The first set struck a good balance between old and more recent material using a stage full of equipment with HD monitors showing softsynth emulations of the Arturia Moog Modular and Sequential Circuits Prophet 5 were put to good use. In the opening hour, there were glimmers of past glories including a large chunk of the PPG-driven ‘Sphinx Lightning’ from ‘Hyperborea’, the theme to the William Friedkin film ‘Sorcerer’ and ‘Horizon’ from the ‘Poland’ album. For a band that lacks the focal point of a vocalist, a decent lightshow would have been essential, but this aspect was disappointing, the stage’s backdrop featured what looked like a giant pack of dried super noodles(!) onto which a series of Windows screensaver-type back projections were added. So, from a tech / geek point of view, it was tempting to watch the Schrittmacher step sequencers sat above each of the gear racks to provide some visual stimulation instead. During the sequencer-driven numbers, these kicked into life and emulated the early Moog ones so beloved of the band in the 70s, each note accompanied by a trigger LED as they stepped through their pre-programmed patterns. On a more positive note, the audio mix quality experienced from the first tier of the Shepherd’s Bush Empire was really superb, certainly on a par with KRAFTWERK’s ‘Minimum Maximum’ tour, where it felt like you were sitting and enjoying the sound of a huge hi-fi system rather than a band PA system. After the interval, in a tribute to a fan who passed away, Iris Camaa donned a pair of black wings and danced while the band behind ran through new track ‘Josephine The Mouse Singer’ whilst the epitaph “There is no death, there is just a change of a universal address. IN MEMORIAM TIM PULLEN” was displayed on the screen behind. Unfortunately the second set didn’t quite manage to build on the momentum built in the first. Too many tracks were dragged down by muzak driven sax, recalling the dreaded excesses of CANDY DULFER and KENNY G. There were however welcome highlights with an outing of ‘Grind’ (again from the ‘Sorcerer’ soundtrack), a sublime extract from ‘Logos’ and the glacial ‘White Eagle’. After the second set drew to a close, the audience were finally treated to an extended extract from ‘Phaedra’ for the encore and then finished the evening with ‘The Silver Boots of Bartlett Green’. It is customary for Edgar Froese to address the audience at the end of a gig and it was here that it was apparent how frail and fragile the 69 year old looked. He thanked the audience, but some of his words were unfortunately lost amongst the applause given to the band. TANGERINE DREAM’s live experience now is an extremely different proposition to how they were in their imperial phase and the addition of live sax, flute and drums was probably not to everybody’s taste. 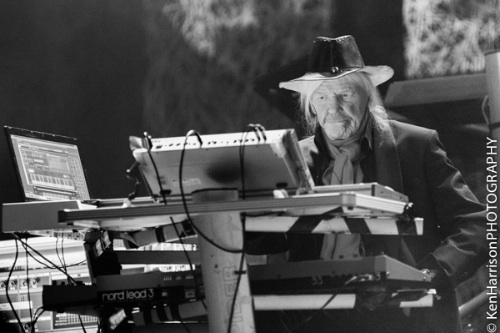 However, when it does come time for Edgar Froese to finally hang up his hat in the live arena, what can’t be argued is the body of work that the band has produced and the long lasting impact that TANGERINE DREAM have had.